It's that time again for a new notebook for my to-do lists. I haven't quite jumped on the planner kick yet. 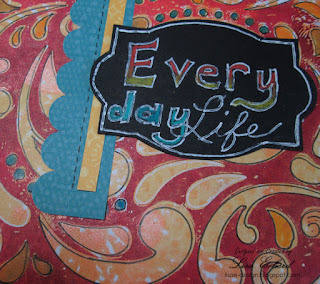 I lived by my Franklin/Covey planner back in the '90's and early 2000's. Nowdays my life just isn't quite that complicated and I really like having my schedule electronic. I've tried making to-do lists on the computer though and that just doesn't work for me so I do my notebooks. The basic notebook I use has been discontinued as far as I can tell. I still have one more I haven't used. 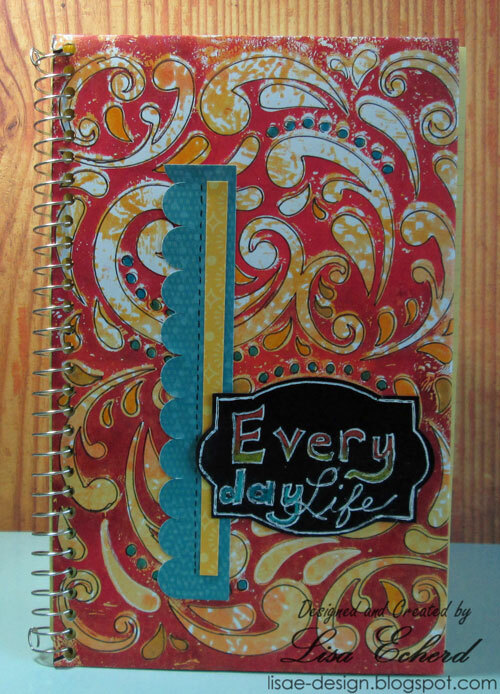 The ideas here would apply to any spiral bound notebook. For this cover, I took a gelli print and added a little more decoration with markers. The rest of the cover is very simple and flat. Have you tried any of the planner systems on the market right now? If so which ones do you like? 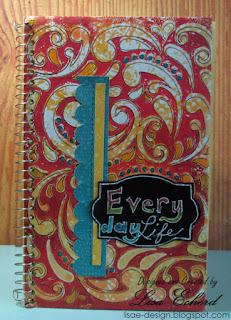 I haven't jumped onto the planner craze just yet and am not sure if I will ... it seems like a lot of work to me! Do you keep your notebooks once you've checked everything off? Oh, yes, I keep them. I've often gone back to find a note about something or maybe a phone number I wrote down associated with a particular project. I have a day runner, and really enjoy decorating it…but like you, I don't really have a need for it..besides using it as fancy todo .